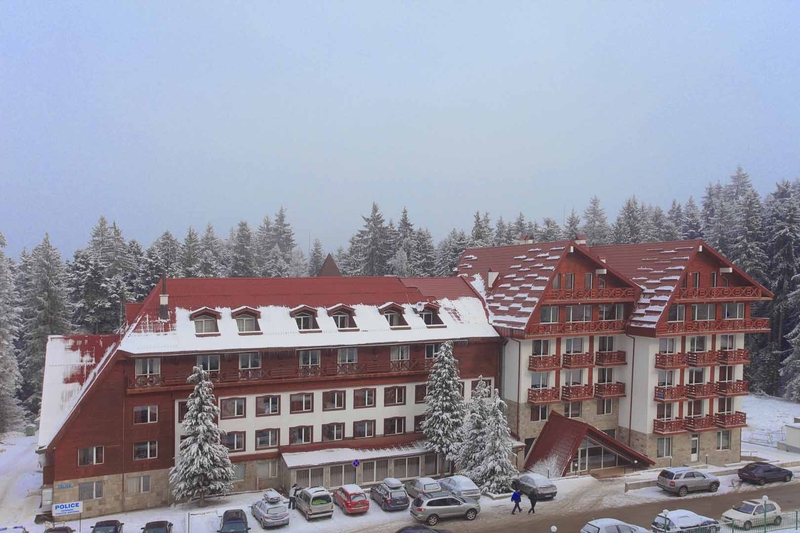 The renovated Iglika Palace Hotel lays in the heart of the world famous Borovets resort. The hotel has 120 rooms and suites. All rooms come with cable TV, telephone, mini bar, en-suite bathroom (with bath or shower). The SPA centre offers an indoor heated pool, a Finnish sauna, a steam bath, a herbal bath, a cold cabin and a solarium. Accommodation 7 nights on HB basis and for 6 days hire of ski, poles and lift pass. Big Ski Pack – Accommodation 7 nights on HB basis and for 6 days ski equipment, group ski tuition 4h/day, Ski/Board Graduation Evening, lift pass. Accommodation 7 nights on HB basis and for 6 days Snowboard rent and lift pass. Big Snowboard Pack – Accommodation 7 nights on HB basis and for 6 days group snowboard tuition 2h/day, snowboard equipment /board and boots/, Ski/Board Graduation Evening, lift pass. Accommodation 7 nights on HB basis and for 6 days hire of ski, poles and boots & lift pass. Small Ski Pack - Accommodation 7 nights on HB basis and for 6 days group ski tuition 4h/day, lift pass, storage of personal ski equipment. Accommodation 7 nights on HB basis and for 6 days Snowboard equipment rent /board and boots/ and lift pass. Small Snowboard Pack - Accommodation 7 nights on HB basis and for 6 days group snowboard tuition 2h/day, lift pass and storage of personal snowboard. Our offers include: 7 breakfast, 7 dinners, use of indoor swimming pool, community tax and the corresponding ski/snowboard packages.